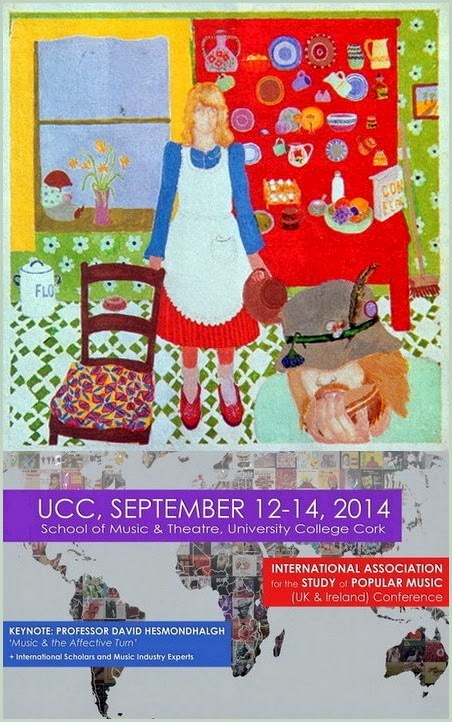 Marcus O'Dair è intervenuto alla conferenza della sezione britannica e irlandese della IASPM, tenutasi pochi giorni fa a Cork (Irlanda), con un intervento mirato a mettere in luce il ruolo - spesso sottovalutato - di Alfreda Benge nella musica di Robert Wyatt:¿Dónde está: the neglected role of Alfreda Benge in the music of Robert Wyatt, nel contesto di una più ampia tavola rotonda dal titolo Collaborative creativity in popular music: ownership, process, constraint and identity. Questo in sintesi il punto di vista di O'Dair: “There is no Robert without Alfie”. "To many journalists, ‘Alfie’ is simply the woman who picks them up from the station when they come to interview her husband - or, at most, the woman who inspired Sea Song. My paper will aim to document Benge’s multi-faceted role, which may be far more active than mere muse. I will examine her role in the studio (drawing on interviews with Wyatt and Benge themselves, as well as with several other musicians and the engineer Jamie Johnson). This paper will discuss Benge’s pivotal role in securing deals (with Virgin, Rough Trade, Hannibal/Ryko and Domino) as Wyatt’s de facto business manager, and her contribution to the visual presentation of his work (she has designed the cover of every album since 1974’s Rock Bottom). Her creative contribution is evident in the work itself; since 1991’s Dondestan, Benge has written lyrics for a number of the songs that appear under her husband’s name. What is the power dynamic that governs their relationship, both professional and personal? Is the critics’ relative neglect of Benge’s contribution due to sexism, or are there other issues at play? To what extent should her album cover be seen as part of Wyatt’s - or Wyatt and Benge’s - artistic output? Finally, what is the relationship between writing, singing and authorship, particularly in relation to the cover versions Wyatt himself records, and the increasing number of other artists who, in turn, cover his songs?" Una approfondita conversazione, più o meno sullo stesso tema ma senza alcun tono accademico, tenuta qualche anno fa da Sharon Gal e Edwin Pouncey direttamente con Alfie per Resonance 104.4 FM è archiviata (in due parti) presso l'impagabile Internet Archive.